We know Sparta opted to negotiate with Tegea rather than to resort to arms. 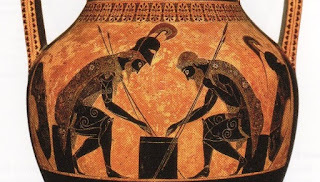 We also know that the resulting “non-aggression” pact became a pro-type of all subsequent agreements with other cities in the Peloponnese, and so the core of the Peloponnesian League. We also know that a key feature of this agreement was that Sparta agreed to assist Tegea against external enemies (presumably they were thinking of Argos), but also that Tegea agreed to assist Sparta against internal revolts. This suggests that recognition of the threats inherent in a large subject population may have induced Sparta to seek an alliance in place of conquest. 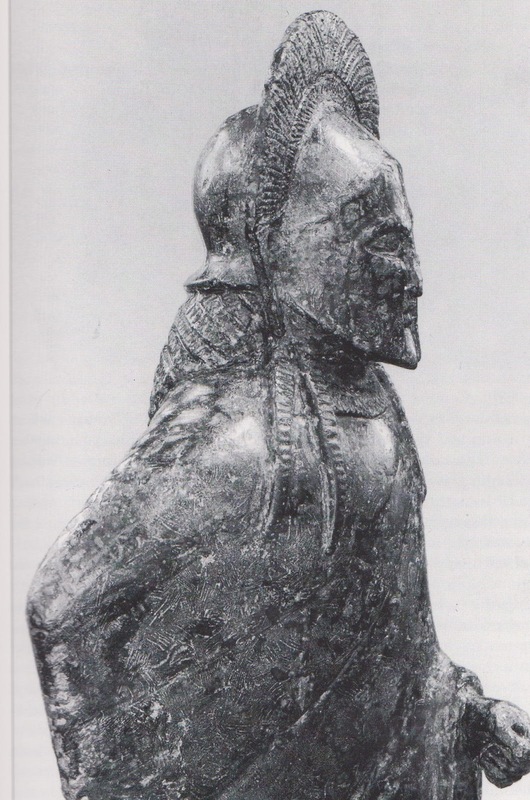 A number of historians point out that the end of the Tegean conflict probably fell in the lifetime and possibly the Ephorate of Chilon the Wise, and postulate that this universally respected Spartan leader may have been the voice of reason that held Sparta back from new aggression. The course of history: the attack, defeat, new appeal to Delphi, successful relocation of “Orestes” and then the astonishing restraint demonstrated by Sparta in not attacking again suggest that Spartan society was probably divided between “hawks” and “doves.” Far from being a monolithic society with a single will and a robot-like population, Sparta was a complex society inherently vulnerable to internal division by the peculiar institution of the dual kingship. Since the Kings were equal in all things, any fundamental policy differences between the kings led inevitably to political strife. Each king could be assured support from his own relatives, friends, and clients in both the Gerousia and Assembly. This means that each king would seek to win majorities by various means of persuasion and the same kind of political maneuvering we are familiar with today in the U.S. Congress and British Parliament. The “hawks” won the first round; the “doves” – very probably led by Chilon the Wise – won the second round. 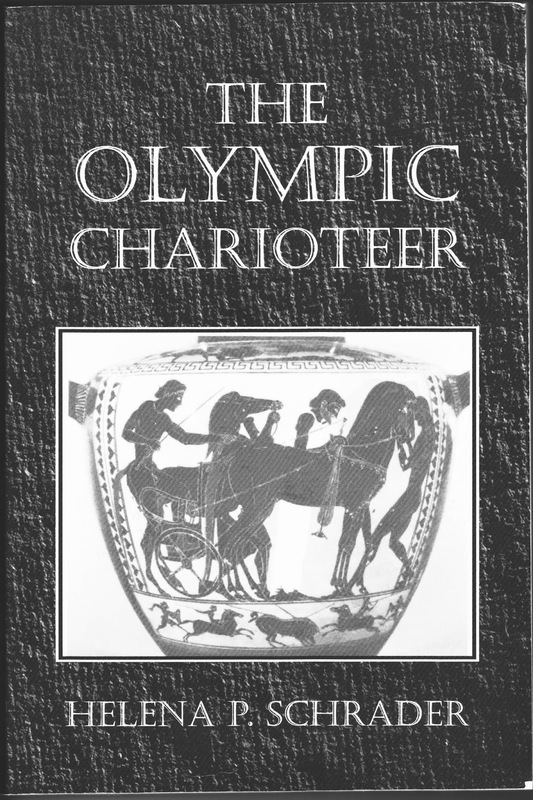 The finest charioteer in all Hellas. This is the story of a young man’s journey from tragedy to triumph, and the founding of the first non-aggression pact in recorded history. As I noted at the start of this month, the Spartan Assembly was far from docile or powerless. Here’s a fictional account of what a Spartan Assembly might have been like. Polymedes called for order. The paean was sung, the sacrifice made, a priest read the entrails and declared all was in order: the Assembly could proceed. Brotus, with a look of triumph in Leonidas’ direction, started toward to join the Council. Although Polymedes could hardly be heard above the enthusiastic cheers of Brotus’ friends, his gesture was unmistakable. Meanwhile, from the back of the Assembly, a counter-chant of “Vote! Vote! We demand a Vote!” went up. Brotus turned to his followers and gestured for them to calm down. “We will, of course, await the vote of this sacred Assembly. According to the law, the Assembly has the final say!” He said this pointedly to Leonidas. “The Council ruled that it was his eldest half-brother,” Brotus corrected smugly. “But who is that?” Alkander asked, looking ― to Leonidas’ bafflement ― no less smug than Brotus. “I demand to hear the testimony of the wet nurse!” Euryleon shouted. “Wet nurse?” Brotus looked around, bewildered. “Your wet nurse.” Euryleon faced Brotus, looking him straight in the eye, confronting him defiantly with obvious pleasure. “And Polyxo?” Euryleon asked with obvious amusement. “She nursed me. She knows the truth!” Brotus confirmed. Euryleon turned and beckoned to Aristodemos and Eurytus. The two meleirenes had been standing in the doorway to the Temple of Athena of Counsel as if on guard duty. Now, however, they disappeared inside the temple to re-emerge on either side of a fat, frightened helot woman. Leonidas would not have recognized her as Brotus’ nurse. Her round face was flabby, her white hair thin. Her eyes, half lost in the folds of skin around them, darted nervously without fixing on anything, while her shallow, gasping breath was audible. The woman was brought to the front of the Canopy, while the men at the back craned their necks to get a look at her and one asked another what was going on. Polymedes asked her name, her patronymic, her profession, and then if she had anything to say that was relevant to the debate. “I ― I ―” she started in a breathy voice no one could hear and Polymede ordered her to speak up. “I was there ― at the birth of the twins!” she squealed in a high-pitched voice that now reached the back of the crowd. “Tell us what happened,” Polymedes urged. “I was standing beside the midwife. The queen was having a terrible time and the first baby, when it came, seemed lifeless. The midwife cut the cord in haste and handed it to me because she could see the second baby was already on the way. I thought the first baby was dead, so I handed it off to my cousin Dido in order to help with the second baby. The second baby was much bigger and stronger than the first, and he screamed lustily when we cut the cord. I put him to my breast at once and cherished him like he was my own little boy.” Tears were by now streaming down her face. Although her account was by no means audible at the back, it was very audible to the Council, the ephors, and those in the front rows, including Brotus and Leonidas. Leonidas only stared at the woman, stunned. Then he looked from Alkander to Euryleon and back to Polyxo. The old woman was blubbering, holding out her hands to Brotus, and calling him by his baby names. “My little puppy! My baby bull! I loved you! I loved you!” she wailed. “I'll kill you!” Brotus screamed and had to be held back by his own supporters. Polymedes was calling for order, while the gist of Polyxo’s message was relayed to the back of the Assembly from those in front. When the citizens at the back realized what Polyxo had said, the commotion in the Canopy grew louder and louder. 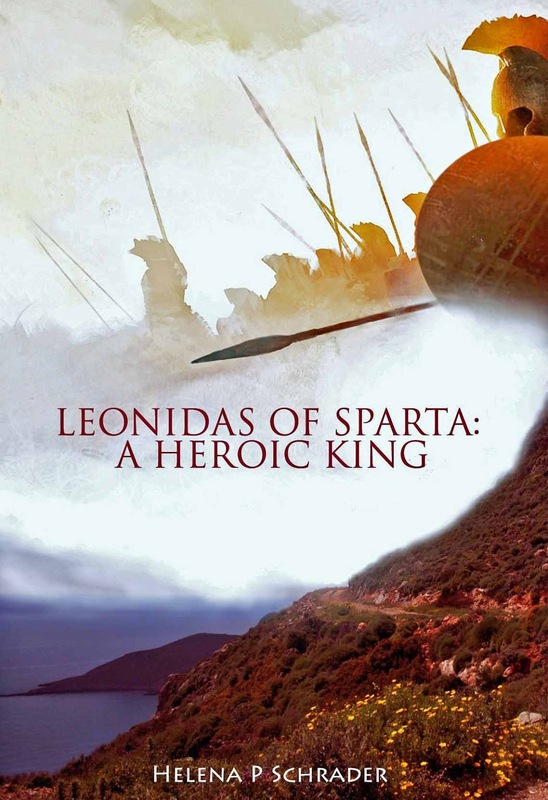 Leonidas couldn’t hear what was being said by everyone, but the exclamations sounded more amazed than outraged. Here and there someone whooped as if in triumph. That would be one of the young men, most likely one of last year’s eirenes; they had become his staunchest admirers. Meanwhile, the smooth Talthybiades was asking for the floor. Polymedes demanded order, and eventually, an uneasy, anticipatory silence spread across the floor of the Canopy. He nodded to Talthybiades. There were grunts and nods of assent from Brotus’ faction, but farther away a young man shouted: “Just because it doesn’t suit you, Talthybiades, doesn’t make it false!” This remark also won an audible share of approving comments. “Do you consider me a credible witness, Talthybiads?” The question came from Epidydes, the youngest councilman and former headmaster. 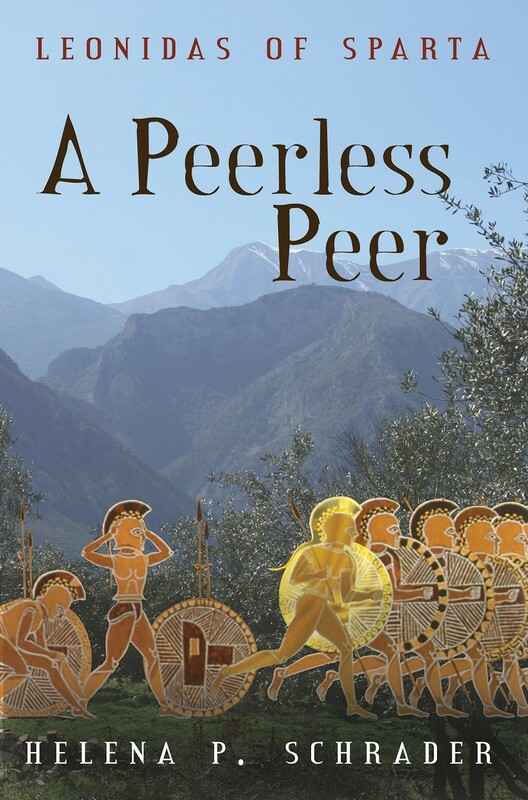 “No, but I was present when King Anaxandridas brought his twin sons to the agoge for enrollment.” Epidydes got to his feet and moved front and center. Polymedes instantly and instinctively took a step back to make way for him. Epidydes raised his voice and his eyes swept the crowd. He had been headmaster of the agoge for more than thirty years, and in that time most of the citizens now assembled had passed through his upbringing. Some, like Leonidas and Brotus, had known no other headmaster and would never be entirely free of their awe of him. The elder men, in contrast, respected him precisely because they had known his infamous predecessor, while the younger citizens had suffered under his successor and remembered Epidydes with nostalgia. There could be no question that if one man had influence in this Assembly it was Epidydes. The silence that gripped the Assembly was correspondingly profound. The sound of some helot workman hammering in the distance could be heard distinctly. A light breeze from the invisible Eurotas was a breath of sweetness among the sweating men. No one dared move or even breathe as they waited for Epidydes to continue. For the second time this morning, Leonidas was stunned. He could picture the scene from more than thirty years ago as if it were yesterday; his own anxiety, the way the instructors had fawned over Brotus because he was so big and strong, and then the way Epidydes came around his desk to approach him, saying, “Then you must be Leonidas.” But because, at the time, he did not know the significance of standing on the right, he had taken no notice of the fact ― until now. With a sense of amazement, he realized he had indeed been on his father’s right. And no Spartan king was unaware of the significance of such a position; his father had given him the place of honor. Polymedes moved for a vote. Brotus was furiously protesting, denying that Leonidas was the firstborn, but the roar of “ayes” for the motion was deafening, and the “nays” came out like embarrassed whimpers form men too tied to Brotus to risk abandoning him despite the evidence.